What qualifies as a start up business loan? Businesses with less than 2 years in operation are considered a start up. Options for all start ups include low credit scores, low revenues, collateral based options as well as asset based. Find out below which option your business qualifies for. Apply below now to get your best option. A business that registered with the Secretary of State on January 1st, 2019 is considered a start up. Your time in business is the date on your business license. For Corporation, it is the Incorporation date listed with the Secretary of State. The state will not recognize the starting date of the business until you register with the state. To make sure your business will have the time in business needed to qualify for a business loan, register it as soon as possible. 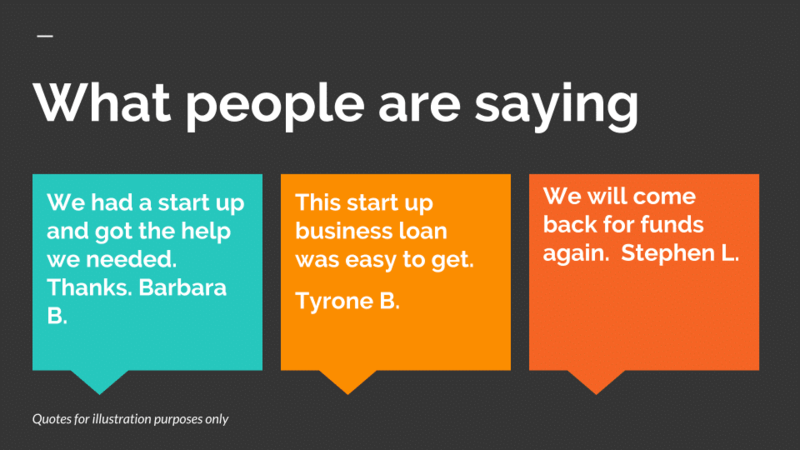 How do I get a start up business loan? 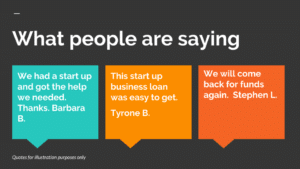 Get a start up business loan by applying with lenders that advertise they specialize in start up business loans. Call these lenders and ask them questions about the program. Question: Do I have to provide a financial statement or any other cash flow information for this request? Answer: You do not need to provide tax returns or financial information to get approved. In some cases businesses may need to provide the most recent tax return prior to closing. Question: Can I get approved in my personal name? Answer: The application must be in the business name.